After we already learned that Kevin Brown will be guest starring in Secret's Safe With Me, another actor who will make an appearance on the show is knows. 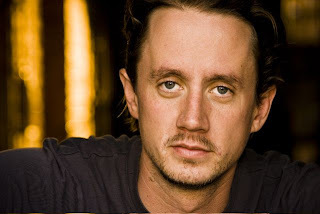 Chad Lindberg, who will have a part in the upcoming Alex Cross movie this fall and is known for guest appearances on TV series like CSI and Buffy The Vampire Slayer, will play a career criminal, Michael Massetti, according to TVGuide.com. And as Beckett and Castle will investigate the case, we know that Beckett must be back at the 12th Precinct in this episode too. Lindberg's casting makes it clear that Castle won't waste any time getting back to solving crimes this fall. Although the ABC drama will no doubt deal with the aftermath of the steamy hookup between Castle and Beckett in the Season 4 finale, the Season 5 premiere will also quickly undo Beckett's resignation from the NYPD. "Beckett is still under threat," creator Andrew W. Marlowe teases. "When [they] wake up the next morning ... in that blissful bubble that they may be in, life has a way of coming in and bursting that bubble. Real life intrudes really quickly, and that is part of Beckett's journey." How do you think they will make Beckett's resignation undone? And are you looking forward to see Chad Lindberg making a guest appearance on the show?